Most Experienced in Social Security Appeals at All Levels, Including Federal Court. Most Experienced Social Security Disability Office in the State of Indiana. If you become injured and unable to work, social security and other disability benefits may be the only things supporting your family’s finances. Unfortunately, the process of applying for and claiming social security disability is often long and difficult – no easy task for someone who is recuperating from a debilitating long-term injury or illness. Without the help of an experienced Indianapolis disability attorney, it is very possible that your claim could simply become lost among the 2.5 million social security disability claims filed each year, causing your benefits to be denied or delayed indefinitely. Disability is a very sensitive issue, both financially and emotionally. 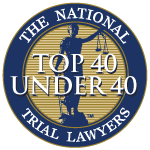 This often makes it difficult to deal with the rejection of a social security disability claim, or even to seek out the assistance of an Indianapolis disability attorney. 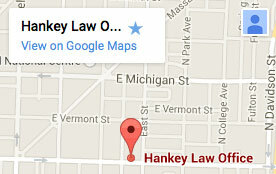 At the Hankey Law Office, we understand your dilemma. Our goal is to ensure your well-being throughout the disability benefits claim process by treating you like a person and responding to your unique needs and concerns. Unlike many Indianapolis social security disability firms, we will not handle your case with a formulaic, impersonal approach; we fight for each client on an individualized basis and strive to form strong relationships with the people we represent. Nearly 70-80% of all social security disability claims are initially denied, leaving disabled workers with little to no income as they recover from their injuries. The assistance of an Indianapolis social security disability lawyer can ease the burden of applying for, appealing, and litigating disability benefits issues. If you or your loved ones have become disabled and unable to work, contact the Hankey Law Office at (800) 520-3633 right away.